Dr. Bita Moghaddam, of the University of Pittsburgh, investigated the impact of omega-3 deficiencies over several generations of people. The results of this study were recently published in the journal Biological Psychiatry. Dr. Moghaddam focused on omega-3 deficiencies because of the sharp decrease in omega-3 intake in recent decades caused by our changing food sources and eating habits. A few generations ago, omega-3 sufficiency was easy to achieve. 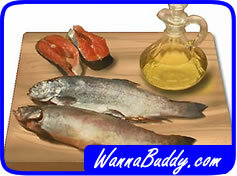 Wild fish, grass-fed beef, free-range eggs, all contained reasonable quantities of omega-3 fatty acids. In recent years though, these natural food sources have declined dramatically, with farmed fish and grain-fed animals predominating in the grocery store. 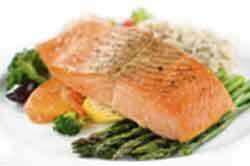 These new foods lack the omega-3 fatty acids that are so important to our health. Dr. Moghaddam studied learning, memory and decision-making in young adults and teens. Tests also assessed their overall anxiety and hyperactivity levels. The test participants were sorted into groups based on their multi-generational omega-3 intake. The research results were clear: second generation family members who were deficient in omega-3s had measurable cognitive impairments compared to their better fed counterparts. The research found observable changes in the brain regions that handle decision making and habit formation. As a group, the teens also had higher anxiety and hyperactivity levels and were less adept at problem-solving. So what does this mean? Here is yet another reason to watch your omega-3 intake. It may be wise to avoid supplements that are derived from marine sources, but there are plenty of safe ways to ensure enough omega-3s. Do it for the children!